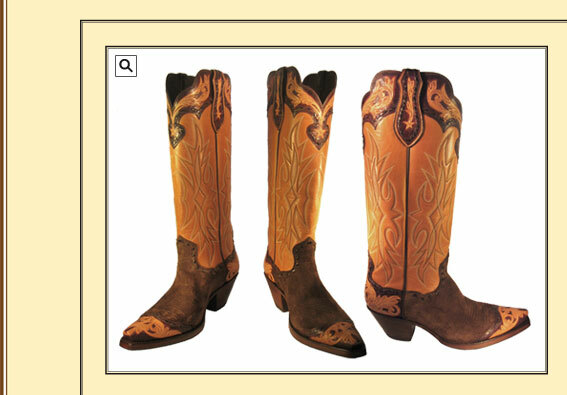 These beautiful boots have a suede foot & 16" tan Calf top with tooled collar, pulls, full heel & toe cap. All of the tooled areas are accented with buck stitch. The heel is 2 1/2" with a narrow square toe.